Doing something meaningful for your kids, that makes you feel good. Doing something with longtime heroes of yours, that makes you feel good. Josh Lovelace got to do both at the same time. As a member of the band Needtobreathe, the Tennessee-based Lovelace is no stranger to the big rockstar life, but even big rock stars sometimes just want to hang with their kids. With his new album Young Folk, out next month, he sings songs of, well, singing songs. And family, and silliness, and love. It's a heartfelt, organic, celebration of those things -- think Dan Zanes if he'd tried to make a more directly preschool-focused album, or the Okee Dokee Brothers if they'd ever stop touring the entire United States and just spend a few weeks in the living room. Lovelace also recruited a bunch of friends to sing along on some of the tracks, including Canadian kids' superstars Sharon Hampson and Bram Morrison -- aka two-thirds of Sharon Lois & Bram. Lovelace grew up listening to the trio, met them several years ago, and now Sharon and Bram sing on one of the album's most heartfelt tracks, "Sing a Song For Me." It's a very come-full-circle moment for Lovelace, and I'm glad to be able to premiere the track today. But that's not all. 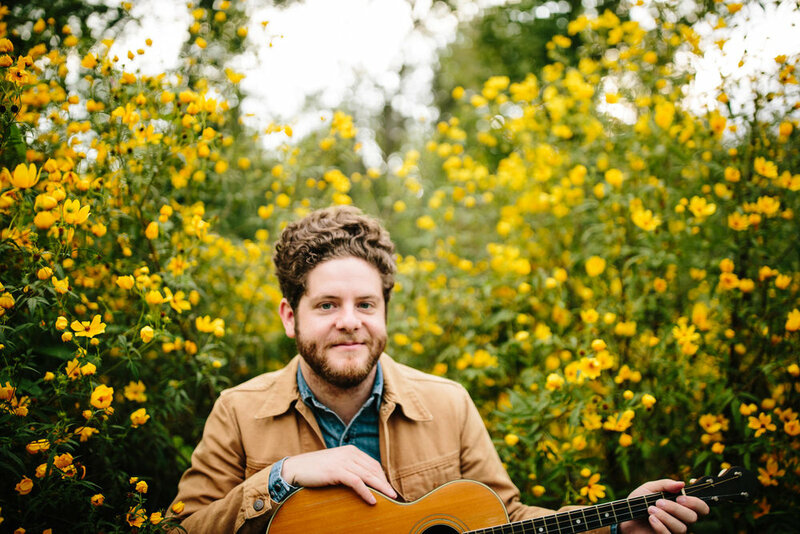 I caught up with Lovelace in Wyoming while he was in the midst of a tour with Needtobreathe, and talked to him about memories, making music with Sharon and Bram, and what it's like to make music with your heroes. So give "Sing a Song For Me" a spin, then read on! Josh Lovelace: I grew up in a musical family... my mom played the piano, my dad the trumpet. My mom's parents were singers, and my dad's father was a songwriter... They would teach folk songs -- Pete Seeger, Woody Guthrie. I was drawn to storytelling songs -- I was inspired by someone who could stand at the front of the stage and lead people in song. It got to the point that I wanted to be up there. [I remember] my mom would set me on top of copy paper boxes to perform for office coworkers. How did your collaboration with Sharon and Bram come about? I grew up listening to their Elephant Show Record, their show was on in Canada, then aired on Nick a few years after... The love and joy in their face was mesmerizing. I continued collecting their albums [as I got older]. [In 2011] Needtobreathe was touring with Taylor Swift and played in Toronto for the first time. I wanted to reach out to them and invite them or their grandkids to the Taylor Swift concert. Sharon couldn't make it, but we met for coffee the next morning, and we talked for 3 hours. My son is named Henry Bram, so they're important to me. When I started working on this project, it was kind of accidental. I knew what I liked, and I'd think [about a song], "Would this work on a Sharon, Lois & Bram record? A Raffi record?" This song "Sing a Song For Me" has a line that references Woody and Pete, and I thought "That's so Bram." They are legends in their market, but they're also very kind people. They're very aware of how they're perceived by kids, or by parents. I'm so glad I had the opportunity, and we're planning on doing some events together for the album release. What's it like to do things with your heroes? Not just random things, but the very thing that those heroes did and inspired you to do those same types of things. It's insane. I've been doing this for so long, and when you meet a legendary person, [it's nice to be able to] talk to them as a peer, find a common thread. With this album, I got to do things with friends, who said, we can do something for you. A song can change someone's life... and I want to live moments that are going to outlive me. What do you hope families get out of the album? The album started as a conversation with my kids, and introduces genres. This music can be enjoyed together -- these days, people have iPhone or iPod personal playlist. But it's a human experience, being together, and as a parent, [I know] that parents all want something they can do together. Sharon would say that the biggest compliment they'd get [for their music] is when somebody would put on [their music] when dropping the kids off at school, then leave it on afterwards. We're doing an album release show in Knoxville, and I plan to do some shows, not a lot. I want to sing, hear the crowd singing back. Posted in Interviews and tagged with Josh Lovelace, needtobreathe, Sharon Lois and Bram, Sharon and Bram, Tennessee, new music, Upcoming Releases, interviews, world premiere. October 26, 2017 by Stefan Shepherd. I'm a big fan of musician/illustrator Key Wilde and musician/kindie uber-producer Dean Jones, so when I got word that the two had teamed up for a new project, I was super-excited. Especially when I heard it was, unexpectedly, not a musical pairing, but a podcast pairing. The podcast is called Doug the Digger, and it's the story of a resourceful groundhog named Doug and a couple of humans, Nick and Una who make his acquaintance. You can listen to the first four episodes now (here's an iTunes link to make it easy for ya), and while you're waiting for the episodes to download to your family's favorite podcast app, you can look at this brief video interlude. It's silent, but the gentle pace of the video matches that of the podcast itself. Posted in Interviews, Podcasts and tagged with Doug the Digger, groundhogs, Key Wilde, Dean Jones, Podcasts, podcasts for kids, interviews. October 23, 2017 by Stefan Shepherd. Ear Snacks Season 2! Read (Hear) All (A Little Bit) About It! I know that saying that a creative endeavor is unlike anything else that's out there sounds like hyperbole, but Ear Snacks fits the bill. There are lots of great podcasts for kids, but in its absurdist and often non-story-based style (not to mention its greater though not exclusive emphasis on preschool listeners), the labor of love from Los Angeles-area musical duo Andrew and Polly is unique. And it's back for Season 2! Zooglobble: Is there a theme to season 2, or is it more or less random like season 1? Polly Hall: It's more or less random, though this season we are being much more intentional about how the episodes tie into developmental milestones. Can you give a sneak preview of some of the episode topics? How about just the first letters of each topic? What's happening this season on Ear Snacks? Hands! Puzzles! Bad Guys! And much more. We'll keep the rest top super secret secret, but we are lining up some really fun guests to help us investigate science, music, art and culture in absurd & awesome ways. Kindie music friends will be making regular appearances, starting with Jazzy Ash & TMBG's Danny Weinkauf and some podcast pals like Wow in the World's Mindy Thomas. And to answer a question no one was asking -- yes, we are going to try to talk to conceptual artist John Baldessari. Because stickers. What are you doing to be more intentional about developmental milestones? Ear Snacks Season 2 will still be built around super-fun topics for kids to explore, but each episode is also intentionally tied to an important milestone central to childhood and growing up. We've met and sung with thousands of kids at this point and that "data set" really informs our work - but we're also weaving in our personal life, too. As parents (to a 4-month old and 3.5 year-old), we're learning first hand from playdates, pre-school and the playground. We know all about the big feelings that come while starting to make sense of the world - and this season we're trying to support kids as they're experiencing new situations, tackling new challenges and starting to connect with each other. Don't worry, there aren't any lectures in these episodes! Instead we take a sideways approach to topics like hitting, biting, differences and feeling confused that we think will equip kids to move through critical moments in an empowered way. How has kids podcasting changed since you started Season 1? The world of kids podcasts has changed A LOT since we started doing this in 2015. Personally, we know that parents are seeking out and discovering podcasts for their kids way more now than they were a couple of years ago - proof we've seen from our audience growth alone. We published our first episode of Ear Snacks in July 2015 and two years later we guess our weekly audience to be about 5,000 families and growing. That feels like a lot of people to be talking to, since our own research - and research published by the non-profit organization Kids Listen, of which we are proudly founding members [Ed. note: As am I!] 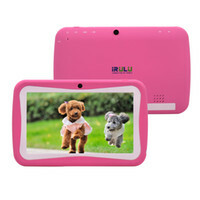 - indicates that kids in our audience range are almost always listening with at least one adult. That's a lot of moms, dads, big brothers and sisters and lil' ones rocking out to our music, cracking jokes, knowing facts about seahorses and being curious about the world. There's generally more awareness now about this kind of content - perhaps partly because more attention is being paid to the medium by the press (see recent Common Sense and New York Times articles), or partly because more creators are entering the space including NPR, Panoply, and Peabody-winning Gen-Z Media - even Nickelodeon & Disney have podcasts for kids now. Or a little bit chicken and egg? We're excited to see more advertising and grant money (see Brains On! and Book Club for Kids) is becoming available to support the work we're all doing. There are even some podcast apps exclusively with kids content on the App Store now - Kids Listen, Leela and Panoply [Pinna] - and those are all great discovery tools for parents who are wondering, what should my kid be listening to? There's so much great audio out there right now for kids and it's even a little easier to find - but still not necessarily the first idea a parent of a pre-schooler might have when reaching for an activity. A podcast for my pre-schooler? Yup, there is one, and it's called Ear Snacks. Posted in Interviews, Podcasts and tagged with Podcasts, podcasts for kids, Ear Snacks, Andrew & Polly, Polly Hall, interviews, Kids Listen. October 16, 2017 by Stefan Shepherd. A sign of the health of kids' podcasting is that big names are launching well-produced shows with lots of lead time to generate interest. Case in point: Boston's NPR station WBUR launched the storytelling podcast Circle Round this summer with a pilot featuring Jason Alexander, with promises of more episodes this fall. That is a positive development, especially when the story featuring Jason Alexander is every bit as entertaining as you might expect a story featuring Jason Alexander would be. Well, fall is approaching, and next Tuesday the 19th the Circle Round podcast officially launches, with a parade of well-known names and voices (including Kathryn Hahn, Lou Diamond Phillips, and Sela Ward, among others) set to appear on the show in the weeks ahead. The two people responsible for getting the show into your families' earbuds are Rebecca Sheir and Eric Shimelonis. Sheir has been a public radio reporter and host while Shimelonis is a composer and musician. Together, their talents align quite nicely if you want to put together a podcast featuring richly-produced retellings of folktales from around the world. In advance of the show's official launch next Tuesday, Sheir answered questions about her own storytelling and radio-producing background, how Circle Round came to be, and what's in the show's future. Zooglobble: What are your memories of storytelling growing up? Were there particular storytellers -- either those you knew personally or those you knew only by voice -- that were particularly memorable? Rebecca Sheir: Eric Shimelonis and I have always been crazy about a good story. We both had the fabulous fortune of growing up in households where the bookcases were full to bursting! As a youngster, among my favorite storytellers was the gloriumptious Roald Dahl; the phizz-whizzing way he squibbles with language has always made me feel positively hopscotchy. And in terms of particular books by storytellers, my copy of Norton Juster’s The Phantom Tollbooth racked up a whole lot of mileage during my childhood, as did Cloudy With a Chance of Meatballs by Judi and Ron Barrett. Eric and I have been reading the Barretts’ brilliant creation to our toddler since he was a baby - my exact copy from childhood, in fact, which is equal parts dog-eared and well-loved. How did you get interested in radio production? I came to it first; Eric serendipitously followed. It all began when I stumbled into the public-radio realm as a graduate student; I was working toward an MFA in Creative Nonfiction at the University of Iowa. While I’d been listening to NPR since my parents would blast Car Talk and Whad’ya Know? en route to my Saturday morning acting classes, I’d never thought about working in that arena. But I got friendly with the folks at Iowa Public Radio and began writing radio essays and reporting feature stories. I loved how it combined many of my favorite things. I got to play with language, I got to stretch my acting muscles, and the whole writing/editing process brings in elements from the worlds of music and film: you need to think about things like rhythm, pacing and painting a mental picture for your listeners. Fast-forward a decade or so, and I met Eric: a composer and sound designer in film and theater. At the time I was hosting a weekly public-affairs program for WAMU (the National Capital Region’s NPR station), and it wasn’t long before we were collaborating. Any time I needed original music for the show, he was my go-to guy! What was the genesis of Circle Round (i.e., did you pitch the show, or did WBUR come to you with the idea)? I’ve known Jessica Alpert, a phenomenal producer at WBUR (Boston’s NPR station), for many years now. When she learned that Eric and I had launched our own audio-production company, Sheir and Shim LLC -- and that we’d relocated from Washington, D.C., to the Berkshires, not far from Boston -- she told us about a long-held dream she had. She wanted to make WBUR’s first-ever child-focused program, a storytelling podcast that would take on a kind of radio-play style: i.e. there’d be an engaging host, dramatic scripts, gifted actors, and top-notch sound design and original music. She asked whether we’d produce a pilot episode. We all collaborated on that episode -- nabbing the amazing Jason Alexander to play our lead -- and the rest is history! How long has it taken to get the show off the ground? The whole thing has happened blissfully fast! Jessica called us up this past winter. We released the pilot at the start of summer, and will officially launch the show... once the school year is in full swing. How do you select the stories you’ll use on the show? There’s an endless number of fantastic folktales out there, so luckily we have plenty to choose from! When selecting which tales we’ll adapt for our listeners, we want to ensure there’s enough of a story arc to sustain a 15-minute podcast; when we go to a break in the middle of the show (what we call “midroll” in the podcast world), we need to leave our listeners teetering at the edge of a dramatic cliff. We also want to make sure our stories come from countries and cultures all over the globe, and that they help our listeners come to some sort of new discovery or realization about the world... and about themselves! How are you selecting the performers? Are you finding it easy to get well-known actors like Jason Alexander to participate? We’re lucky to have Amy Lippens, C.S.A., on our team; she’s the one coordinating our big-name actors from stage and screen. Performers have been very excited about this opportunity; it’s not often that you get to hearken back to the good old days of radio plays and portray a fairy, king, giant or dragon in the process! Very roughly, how many hours of work does it take to put together a single 15-20-minute episode? The amount of labor (it’s hard for us to call it “work,” since it’s so much fun!) varies per episode. We spend a lot of time poring through folktale books, to find the ideal stories to turn into Circle Round episodes. Once we’ve selected a tale, we’ll spend a few days adapting it: fleshing out characters, bulking up visual descriptions, considering sound-design possibilities, and punching up the language to make it as attention-grabbing -- and attention-holding -- as possible. From there, we go through the character list and consider who might be a strong fit for each role. Casting director Amy Lippens and executive producer Jessica Alpert take care of recording our big-name actors. Because Eric spent so many years composing music and designing sound for theater -- and because I spent so many years covering theater as a public-radio reporter -- he and I have an extensive network of performers, theaters and theater companies we can all upon. After all the actors have recorded their lines, Eric starts working his magic. He reads each script carefully, and finds ways to add depth and texture to certain moments through sound effects and music. And fun fact: in addition to composing all the music, Eric also plays nearly every instrument you hear on each episode of Circle Round! So for a few days, our home studio is full of the wonderful sound of music. How many episodes have you already finished, and how many episodes do you have planned for the first season (assuming you’re breaking this up into seasons)? We have a total of thirty episodes planned for this first season. We’re also planning some live events, where audiences will get to watch a story unfold in front of them - replete with live musicians and actors, right there on stage! What are your goals for the show? At the end of our episodes we invite our audience to take part in some sort of activity -- telling a story, creating a dramatic scene, drawing a picture -- that reflects on the themes in the tale they just heard. We invite them to share their story, scene, picture, etc., with someone they love: a family member, a friend. So another goal is to spark dialogue, and provide a way for children to make connections with others, as they delve into virtues and themes that have been shared around the world, throughout history - from kindness and generosity, to persistence and perspective. Posted in Interviews, Podcasts and tagged with Podcasts, podcasts for kids, NPR podcasts, Rebecca Sheir, Eric Shimelonis, WBUR, interviews, storytelling, folktales. September 13, 2017 by Stefan Shepherd. One of the kids musicians who most successfully employs a bilingual approach in his music is the Massachusetts-based (most of the time) Ben Gundersheimer, or as lots of kids know him, Mister G. Over the course of seven albums, his music's become more complex, taking on the flavor of Latin American sounds and rhythms. Lyrically, he easily moves between English and Spanish (and back... and back again). After you watch the video, make sure you scroll down further for a quick, bonus interview with Mister G about the motivation for the album, memories from recording it, and more about his upcoming book series with Penguin Random House! Mundo Verde / Green World (the album) is out September 15, 2017. Zooglobble: What motivated you to make a “green”-themed album now? 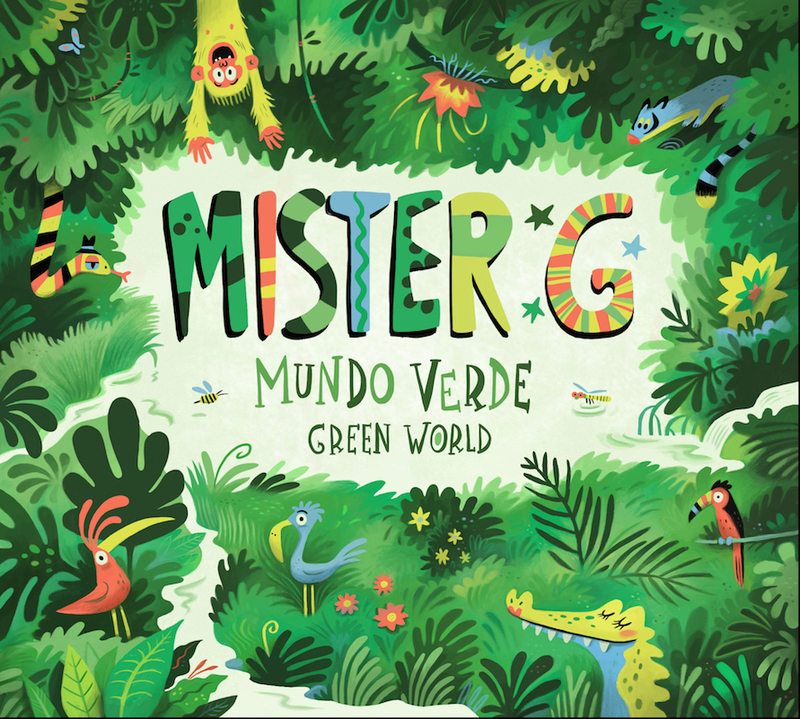 Mister G: Mundo Verde/Green World is my eighth album for children and families, but I've been writing about nature and eco-activism from the beginning. My first CD actually had several songs with explicit environmental themes ("Don't Waste Stuff" "Mister Chubby Pants" "Squirrels"). To me, there is no issue more important than working together to protect this one and only planet we share. Now more than ever, I think it's important that we inspire kids and families to enjoy the beauty of nature, but also to do all we can to insure a healthy green world for future generations. Any favorite memories from the recording process? That's a tough one! I was incredibly fortunate to record with so many phenomenal Latin musicians all over the world on this project. If I had to pick one experience, it would be recording the song "Gozar/Enjoy" in the Dominican Republic with the great merengue band, 440. It was an unforgettable experience to work with these great artists (and wonderful people) in their studio in Santo Domingo. How do you pick animators for your videos? We love working with our talented friends from different parts of the world. Many of our videos ("The Bossy E", "Cocodrilo", "Siete Elefantes") have been done by a great husband/wife team of Argentinians who are based in Barcelona. The "Mundo Verde/Green World" video was made by our friends in Oaxaca, Mexico. The illustrator, Marcos Almada Rivero, created the beautiful art for our last two albums, "Los Animales" and "Mundo Verde/Green World." What can we expect from the books you’re creating? The books we have coming out through Penguin Random House are based on my songs. In each case, I adapted the original song and created more of a narrative. The first book, "Señorita Mariposa," is about a monarch butterfly who is flying from the US to her winter home in the mountains of Michoacán, Mexico. Happy to announce that Marcos Almada Rivero is illustrating the book! Posted in Interviews, Videos and tagged with Mister G, Ben Gundersheimer, interviews, videos, Upcoming Releases, world premiere, books, kids books, bilingual kids music, kinetic bilingual typography, kinetic typography, Spanish, Marcos Almada Rivero. August 9, 2017 by Stefan Shepherd. Ella Jenkins needs no introduction, and I have to believe the Venn diagram would show the overlap between "readers of this website" and "people who don't know Ella Jenkins" to be very slim indeed, but in case you reside in that area, Jenkins is a living legend in kids music, leading multiple generations in song, encouraging tolerance and togetherness will little more than her voice, a guitar or ukulele, and good humor. 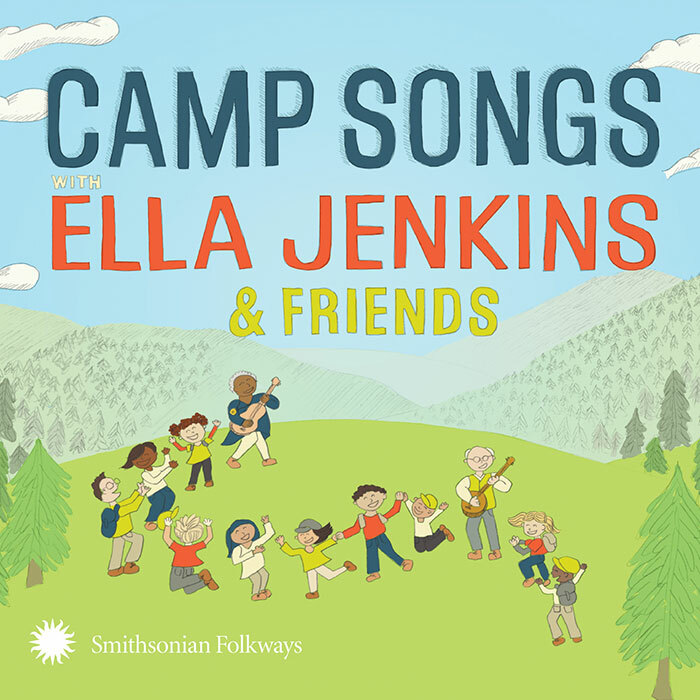 She's been recording with Smithsonian Folkways for sixty years (not a typo), and earlier this summer she celebrated her 93rd birthday and released her latest album with them, Camp Songs with Ella Jenkins and Friends. It's a collection of songs that might sound familiar to anyone who's spent time at a sleepaway camp of any sort, or even just a day camp. She partnered with kids and musicians from Chicago's venerable Old Town School of Folk Music and with Tony Seeger and Kate Seeger. The Seegers are siblings -- their parents ran Camp Killooleet in Vermont, and Kate runs it today along with her husband. (Here's an article about the camp.) Pete Seeger was their uncle, so they have some experience making music with living legends. And Tony Seeger is an Emeritus Distinguished Professor of Ethnomusicology at UCLA and the Director and Curator emeritus at Smithsonian Folkways Recordings. All in all, a pretty good match for Ella. I asked Ella a couple questions about the album, then reached out to Tony for more details. When I asked Ella why it's important for kids to sing together, she responded with the importance of "sharing, leadership, [and] working together." She said these "are all tools for a happy life." As for favorite memories of the recording session(s) for this album, she agreed that "it was a wonderful project." Ella noted that "many, many people helped create this recording [and] it was all memorable." Tony went into more details about camp singing memories and recording the album -- and if you want more insights, I recommend reading the liner notes (available at the Folkways album page link above). Zooglobble: What are your favorite memories of camp singing growing up? Tony Seeger: For Kate and me our favorite memory is of our parents singing and leading songs at campfires and other camp events. They met as counselors at a summer camp and went on to run Camp Killooleet in Vermont for nearly 50 years. They loved to sing in harmony on such standards as “Summertime” and “Birth of the Blues.” My father taught his younger brother, Pete Seeger, to sing in harmony on long trips in the car. My father also led singalongs like “Jacob’s Ladder” with the campers. Kate and I learned to play instruments at Killooleet and began to accompany our parents when we were in our teens. We have been singing at Camp Killooleet, where Kate Seeger is now the co-director with her husband Dean Spencer, for most of our lives. What do you appreciate about camp songs now as an adult? Camp songs can create a community feeling in a group of insecure campers who may be homesick or don’t know each other very well. We find campers are always delighted to be asked to sing along rather than sitting still and listening. They are then equal participants and we are creating the performance together. Over 14 million children and adults attend summer camps each year, and the music they enjoy together often creates an enduring bond and stimulates fond memories of the time they spent together. If you could only sing three camp songs to get a group singing together, what would they be? For me, they would be a call-and-response song like “Michael Row the Boat Ashore” (which is on this CD), a gesture song like “The Court of King Caractacus” (which is on the CD), and a multipart song from Africa like “Bayeza” (not on this CD, though we tried it out). What are your favorite memories of the recording session(s) for this album? Ella has a delightful sense of humor which made the long hours in the studio much more fun. She regaled us with stories about singing at summer camps, only one story of which is on the CD (at the start of track 12, “Hill Was Steep and Tall”). She reminisced about learning camp songs from her brother and how to play the harmonica from her uncle. After the studio sessions with the children ended and they were getting ready to leave, Ella spent hours talking with them and their parents. Her enjoyment of the children, her unexpected skills on the harmonica, and her enthusiasm for the project are all warm memories. She asked me and Kate to accompany her on songs we didn’t know beforehand. Even when I didn’t sing “The Damper Song” very well, she rewarded me with a “That’s good!”—as she has done for generations of children and adults singing along with her. How did you think about Ella’s role in the album? Ella had proposed recording an album of camp songs years ago, but she and I were always too busy until the opportunity came to record one in a studio in Chicago with a group of musicians and children from the Old Town School of Folk Music. She sent Kate and me a list of songs for the album, and we proposed some rounds and songs for older campers, which she approved. She has been recording for Folkways for 60 years, so her voice was not as strong as she had hoped when the time came to record. So she sang on a few songs, played the harmonica on some, and led the children singing on a few more. Even though many musicians participated in the album, it was her spirit, her musicianship, her generosity, and her enthusiasm for having the children sing along that made this project what it is.We just helped her make it happen. Why is it important for kids to sing together? Not all camp music is singalongs. Children also like to listen to each other sing solo, and to adults, But singing together can transform a group of campers into a cohesive and active group. Focusing on something together and sharing the experience of learning something new together helps create a community feeling. Moving together is fun, too. Ella Jenkins has been encouraging children to sing and to move during her whole career, and that works well at summer camps too. Posted in Interviews and tagged with Ella Jenkins, Smithsonian Folkways, camp songs, Tony Seeger, Kate Seeger, Camp Killooleet, Pete Seeger, interviews. August 1, 2017 by Stefan Shepherd.